Thing 1 and Thing 2 Popsicle stick puppets come together easily with minimal supplies to create an invitation to engage in dramatic play for toddlers and preschoolers! My 3 year old loves to play with puppets and I love to encourage dramatic play for her developing mind! We made these super simple little puppets which were the perfect size for her small hands. 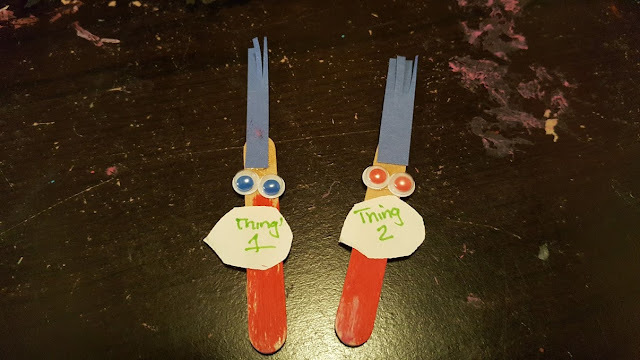 She loved including Thing 1 and Thing 2 in all of her pretend play! 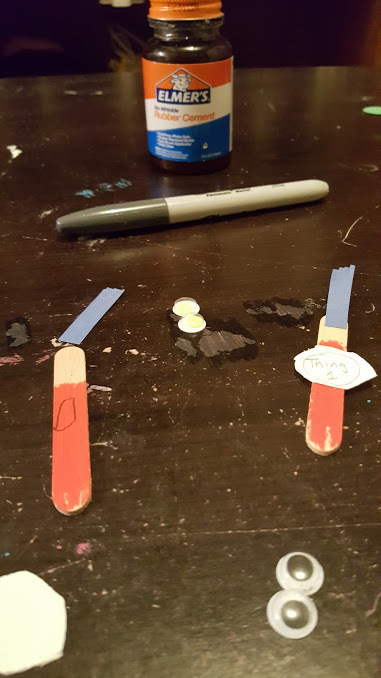 Cut the blue paper to look like 2 shocks of hair. 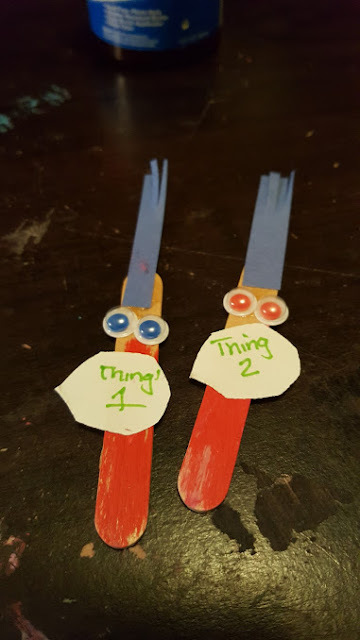 Write Thing 1 and Thing 2 on the circles of paper and glue it on the center and you have your easy and fun puppets! These are perfect for an easy peasy play session or a fun way to celebrate Dr. Seuss's birthday.